The Linkstar Background System BSK-2016B is a quick and simple system to assemble, making it ideal for use on location or in the studio. 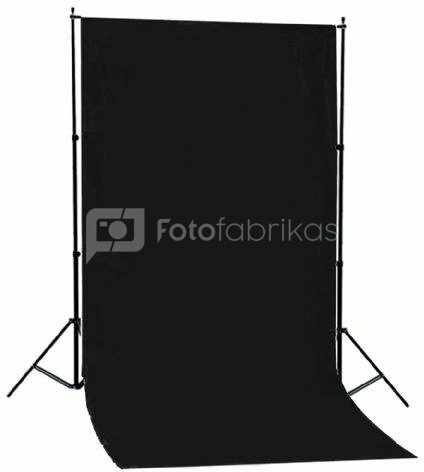 Complete with a black cloth background (1.50 x 2.80m), this system can be used with either cloth or paper backgrounds. The stands are equipped with standard couplings so that they can be used for lamps and studio flash units The crossbar consists of 4 sections, which can be attached to each other with head screws, allowing you to determine the width of the background. The crossbar is telescopic and consists of 3 sections, allowing you to determine the width of the background. The stands are provided with a spigot with a 3/8” male screw thread.